An OSEIA exclusive column series By Tamara Staton - 6.29.16 - Many of us have heard the buzz about ‘corporate culture’ and the importance of focusing on team communication and employee well-being. The 'HR-stuff', as someone said to me at the Oregon Solar Energy Conference in May. In corporate environments, this is clearly the norm, and it’s a rare company that doesn’t have this on their radar, with a budget to match. But in solar, it’s a different conversation, particularly for small and medium-sized owner-operated outfits. 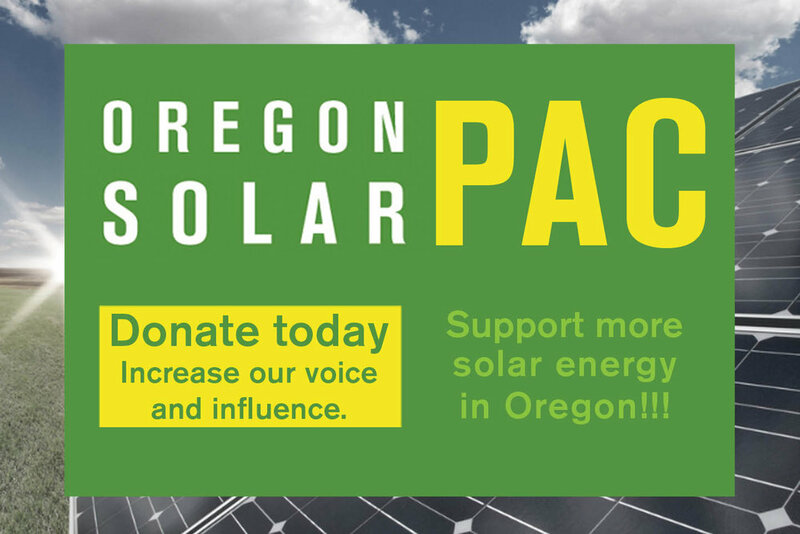 While there is great support and resource allocation for building solar and strengthening business, much of this support is on what many would call the ‘external' -- marketing, branding, and organizational structure and development, like the highly valued Energy Trust of Oregon’s business development resources. But great value can be found in focusing ‘internally', on the how and who. How do we do things around here, and whosupports that how? Merriam-Webster defines thriving as being characterized by success or prosperity. A thriving organizational culture, then, is one in which team members and employees are acting in accordance with company beliefs and values, reflecting and supporting company prosperity. "When culture is thriving,” says Jordan Weisman, owner of Sunbridge Solar, “we operate more efficiently. We get more accomplished with less work. There is laughing and joking and the atmosphere is professional but light." From the perspective of a small business owner -- trying to survive and even thrive on the ‘solar coaster’ -- it’s often hard to justify spending time, energy and other resources on strengthening a thriving culture. But there are four solid reasons to allocate resources in this way: Ethics, Innovation, Productivity, and Profit. The ethical reason is pretty straightforward -- treating people well and giving them clarity around company policy and mission can be seen as simply ‘the right thing to do'. That may be true, but it doesn’t make it any easier to justify action. There are solar panels to get up, electricians to contact, employees to hire and train, contracts to review. Where is the time to clarify mission and policy, and get everyone on the same page? In regard to innovation, Entrepreneur.com points out that “having a great company culture can encourage solutions, inventions or innovations that might not have come to light in a more oppressive environment.” When we’re happy and satisfied, free from worry and conflict, we have greater access to our pre-frontal cortex, where the best thinking happens in our brain. The Department of Economics at the University of Warwick found that “happy workers are 12 percent more productive than the average worker, and unhappy workers are 10 percent less productive.” And as it turns out, according to a Gallup poll published in the Business Journal, unhappy employees cost American business over $300 billion each year. So, is a thriving culture actually good for business? According to the Harvard Business school and Professor Emeritus James Heskett, “as much as half of the difference in operating profit between organizations can be attributed to effective cultures.” Because engaged managers and employees are much more likely to stay put, there are fewer hires from outside, and thus lower wage costs for talent, lower recruiting, hiring and training costs, and greater productivity. With higher employee retention, there are better relationships built with customers, which leads to customer loyalty, lower marketing costs, and enhances sales. Weisman, quoted above, is creating a collaborative culture where employees work together and communicate openly. He schedules paid ‘Employee Fun Days,' where the whole company spends the day rafting, skiing, or in a similar activity. In my consulting work with Sunbridge Solar, I experienced Jordan’s commitment to strengthening team culture, and saw clear improvement in the ability of the staff and desire to collaborate. There are also points to be made for the benefits of thriving culture on raving reviews, from both employees and clients. When employees and customers are happy, they want to tell the world, and many of them choose to do that publically. Read more here about ‘The Power of Reviews on Increased Revenue’. Clearly, there is great justification for spending time, energy and even money on creating a thriving culture in your organization. These investments are likely to increase your organization's ability to thrive financially and improve your employees’ work experience. The benefits are many. The remaining question then is exactly how to create the thriving culture we seek? Clearly, there are multiple leaders and organizations in the solar industry who are prioritizing culture and experiencing the multiple benefits. In forthcoming articles in this exclusive column on The Value of Thriving Culture, we will hear from some of these visionaries who can offer insight into pitfalls and practices in small and medium solar companies. Through the consideration of various perspectives, it can be easier to foster a thriving culture in your own organization. Tamara Staton is a consultant, facilitator, coach and educator with over 20 years experience in the fields of development and communication. She has worked both one-on-one and in groups in the areas of leadership development, team building, transition management and overall effectiveness, and is currently focusing on small and medium-sized solar organizations to support leaders and teams on improving organizational culture and communication. In her downtime, you might find her backpacking, camping, or canoeing with her family, or strumming a banjo by the creek. You can visit her atwww.thrivingsolar.com.